You don’t have to be a great artist to make great art. Don’t believe us? Let Neil show you! 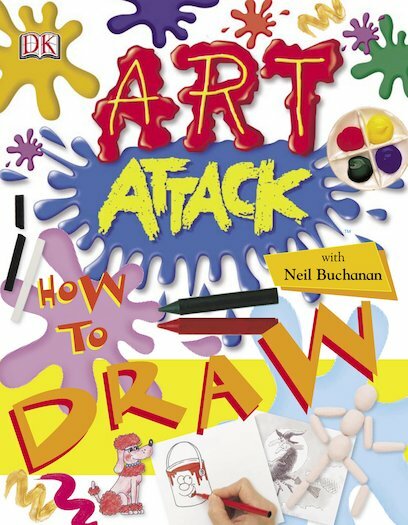 Just follow the easy instructions in his book to draw and paint all kinds of amazing things. There are perfect portraits, cool cartoons, city scenes, dazzling country landscapes and awesome animal art. So whether you fancy some super-fast sketching or full-on fun with paints, charcoal and chalk, Neil can show you how to make it look great. Grab a pencil and try it yourself. Anyone can have an Art Attack! Had this book a while away but never got round to make anything. The tips are really good and there’s lots of diagrams showing you what to do. It might be a bit hard to start off with and looks really hard but when you put your mind to it, you’ll love it!